Plenty of organised fun to be had at no extra cost! Come down between 1pm-3pm from the 14th January and every weekday until the 25th January 2013 for heaps of family fun. Friday Feast - sausage sizzle $1, face painting, food rush. 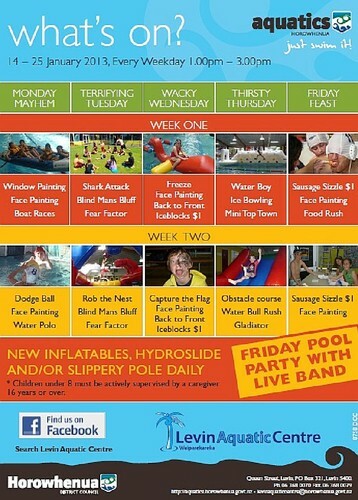 Friday Feast - sausage sizzle $1, face painting and pool party with live band.